Millions of individuals utilize 401(k) plans to save up money they will need for their retirement, and thankfully, most of the time, stacking away money for future use in your 401(k) is a smooth process without many issues arising. However, occasionally, there have been some instances where employee contributions have been abused by their employers who have either held on to the employee’s money for too long or even used it for corporate purposes. Here, you will find out what to look for to find out if your 401(k) contributions may have been misused and what you can do to keep your 401(k) safe and secure. 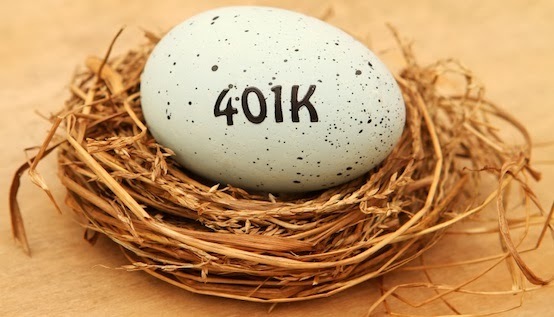 There are a number of signs that you should be on the lookout for to make sure your 401(k) is not being misused by your employer, and thankfully, most of them are pretty easy to spot if you keep track of your account consistently. One of the most common signs that your 401(k) contributions were misused is that your account balance does not seem to be accurate. If you are keeping track of your balance and it appears to be incorrect, it is definitely something you should look into right away. Check out the Suncorp superannuation calculator to find out how much you need to retire. Other signs that your 401(k) contributions have been misused are that your account statement is not delivered to you regularly or arrives late often, that your account balance dropped more than could be explained by the typical ups and downs of the market, that your employer failed to transfer your contribution to your 401(k) on time, that unusual transactions appear, and that your account statement doesn’t show that your contribution was actually made. You may also want to look out for any unauthorized investments or unusual transactions appearing on your account statement. In addition, be sure to keep a close eye on your 401(k) account if your employer has had any severe financial problems recently or if there have been a lot of unexplained changes to the investment consultants. If you find that your 401(k) contributions may have been misused, it is very important to act right away to protect your account as best as you can. If you noticed any unusual issues with your 401(k) plan, you should contact the Department of Labor’s Employee Benefits Security Administration as soon as possible. They can help to get to the bottom of any issues with your 401(k) account, so you can hopefully have a safer and more secure 401(k) account without any loss to your contributions. Be sure to take a close look at each of your account statements to notice any issues that may be present right away. As with any financial account, there is always some risk involved. All you can do is take precautions to make sure you are keeping your account as safe as you possibly can.